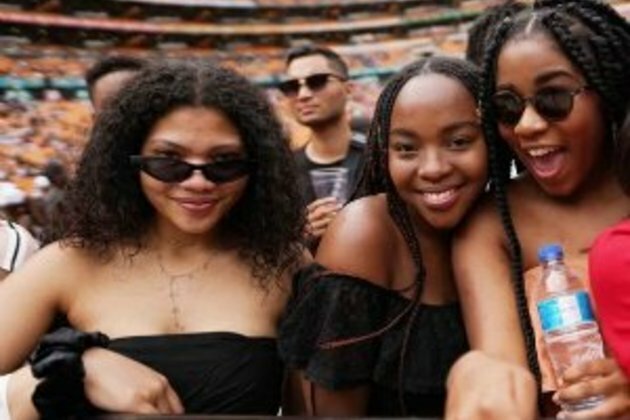 The "collapse" of a traffic plan and network signal problems contributed to people being "pushed" out of the security perimeter set up for the Global Citizen concert, Police Minister Bheki Cele said on Wednesday. He said South Africa regularly hosted international events, but what happened at the Sasol garage was an "exception". Cele was responding to criticism over policing after the star-studded event and a sudden surge of a group of thieves at a Sasol garage near FNB Stadium, where people were waiting for transport. "Our planning was not extended to the Sasol garage, which is located plus minus [3kms] away from the stadium," he said. However, he saidunforeseen circumstances, like the "collapse" of traffic management and congestion of [the] mobile network, pushed fans to the garage which resulted in the chaotic situation. Johannesburg Metro Police Department spokesperson Senior Superintendent Wayne Minnaar said he would not comment on the minister's remarks. Cele said the fact that the incidents happened outside the planned security perimeter did not mean the police were not responsible for safety at the garage. He said it was the constitutional duty of the police to look after people in the whole country. "It is the responsibility of South African police to take the security and safety of every South African, including people that are visiting there," he said. The police's response could have been more prompt, he said. "Those incidents of which have been reported to the police should not have happened. "We condemn such incidents in the strongest possible terms and those found to have perpetrated the crimes will be tracked down and together with those in police custody, they shall face the full might of the law." He denied that there were no police present at all and pointed out that six people were arrested at the scene. After the press conference, he also whipped out his phone to play a video clip of a police car on the night to prove that there were police officials present. Besides the six people arrested in connection with a chaotic situation of apparent random muggings at the garage while people waited for transport, another nine had already been arrested in the course of the day. Altogether, 50 complaints were registered with the police, which included 24 cases of theft of a cellphone. An inquest was also registered for the death of rigger Siyabonga Ngodze, who plunged to his death while working with the production team on the Saturday ahead of the event. Cele said security planning started way in advance of the event via the Event Safety and Security Planning Committee (ESSPC), which even included representatives from the State Security Agency. Police, stadium management and event organisers met before the event started. Police were already set up long before the concert and were still working into the early hours of Monday. He asked people to report incidents to the police and stated that police must register the complaint at a police station anywhere in the country. He denied there was any deviation from the security plan. He did however say that some lessons could be learned from some of the incidents, especially the transport issue. "The issue of Sasol is giving us new lessons," he said.